Kallayanee (on right) with her sous-chef Uta Bryce hard at work for a class. Kallayanee Glover was born in the Northeast of Thailand, in a small village without electricity or running water. Villagers lived much as they always had in this beautiful country — and their authentic Thai cooking reflected a long tradition of recipes handed down from generation to generation. Kallayanee learned from her mother and still cooks many of the same dishes. However, she regularly travels back to Thailand, where she learns new dishes from some of the best chefs in the country — and from enthusiastic family and friends! You’ll benefit from these trips when you learn how to make little-known Thai dishes that your friends and family will love. Once you’ve taken a class, you will also benefit from free cooking support whenever you are trying to cook your new recipes on your own. Just contact Kallayanee by email. Thanks for all the help from our friends! 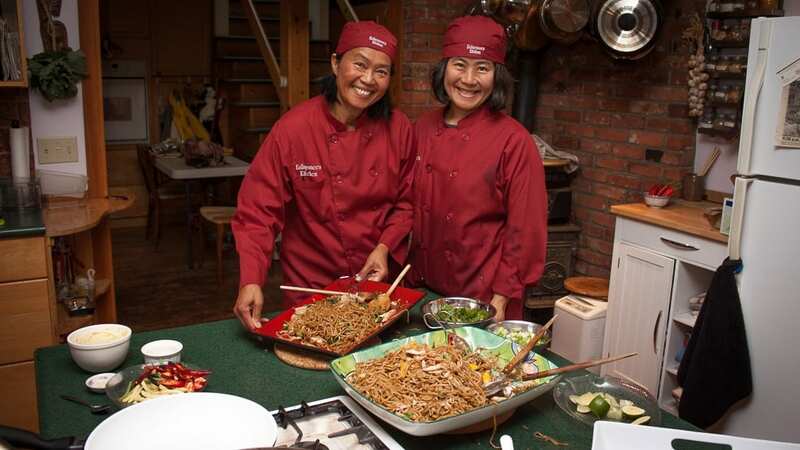 We always enjoy hosting Thai cooking classes at our home in North Saanich. And, we are still pleased to be teaching classes for the Panorama Recreation Centre in North Saanich, which we have been doing since 2009. For classes at Kallayanee’s home in North Saanich, contact us by phone at 250-656-1227 or by email. You can easily find us with a Google map! 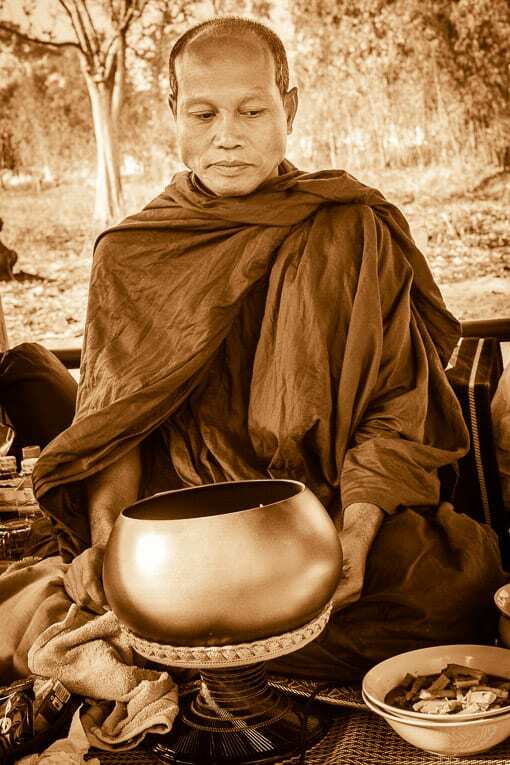 We are also grateful for the help and support of Ajan Dao, our teaching monk in northern Thailand. We learned much about meditation and Buddhism from him at his temple, Ban Dun, near Udon Thani. We believe success is related to a clear and untroubled mind and we try constantly to work in that direction.